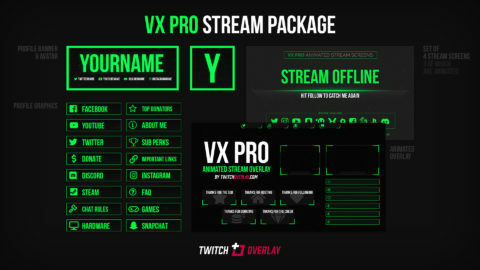 VX Pro Blue, our (mostly) animated stream package, features a combination of smart, flat, minimal colouring and dynamic backgrounds and animations to give streams some visual flair without being completely distracting, or obscuring the gameplay or broadcaster. 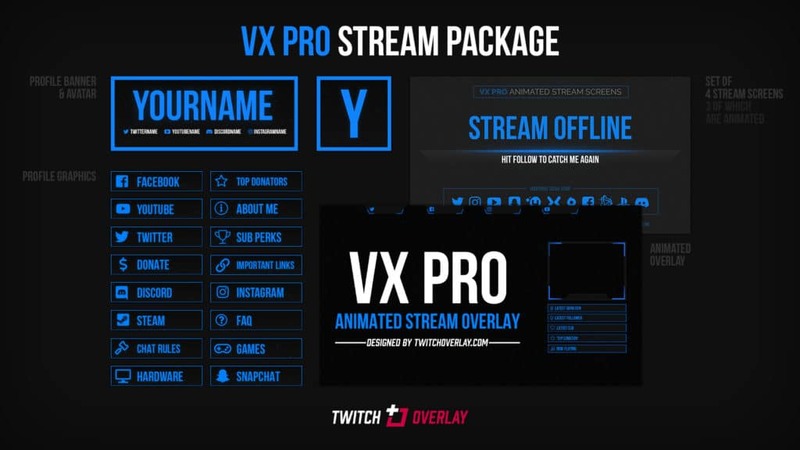 Animated Overlay – This features pulsating panels, social boxes with rolling (and platform-applicable) colours, a background with falling blue rain, and a fully stylised and animated webcam featuring a lower space to place your name. This also includes a collection of animated stream alerts in .GIF format. 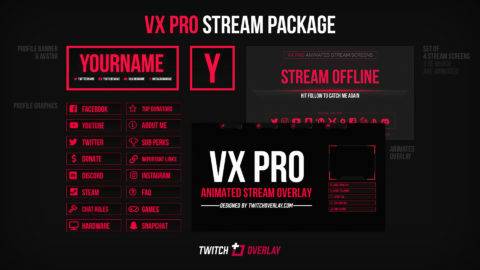 Animated Stream Screens – 3 animated stream screens featuring the same falling blue rain from the overlay, and approriate text depending on the messaging you require. 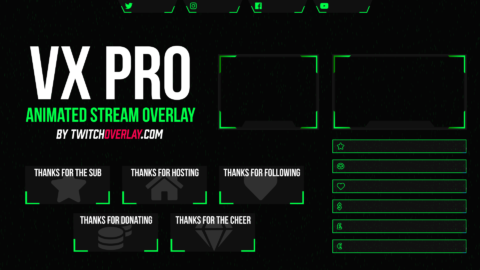 Also includes static stream offline screen (Twitch does not allow animated offline screens as yet).